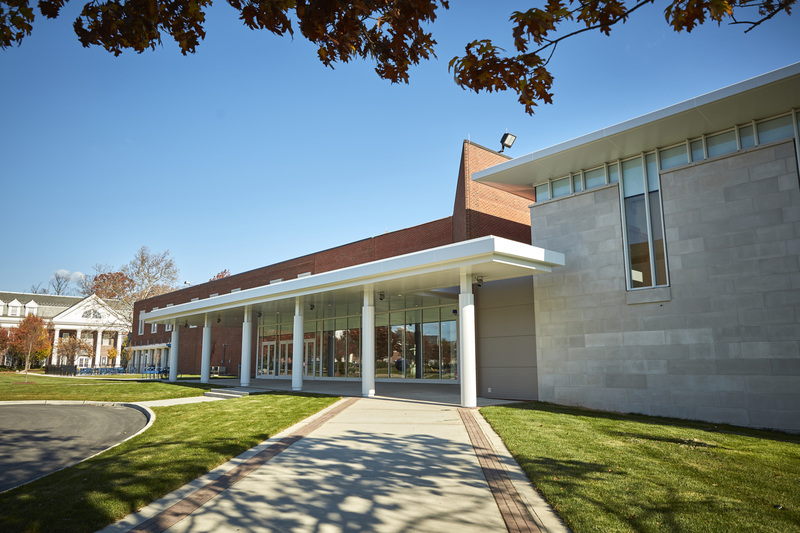 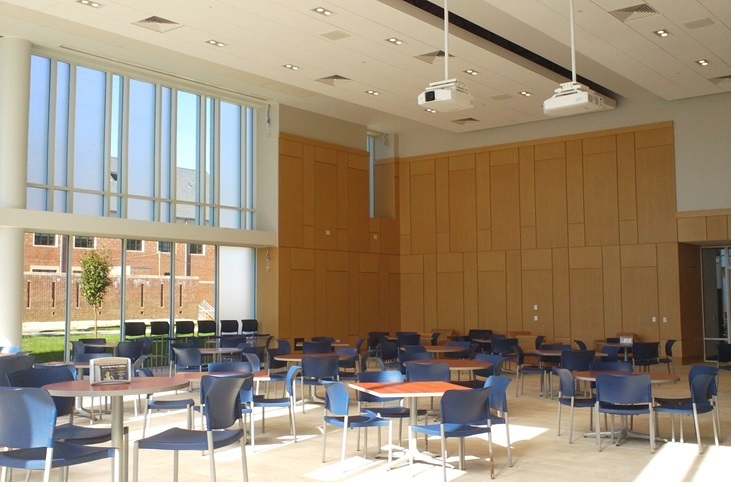 The Event Center, also known as Room 100, is a newly renovated and attractive venue that can hold a variety of events and meetings on campus. With over 7000 square feet, the space can be one large room or divided into two separate rooms (100 East and 100 West) to accommodate a variety of programs. 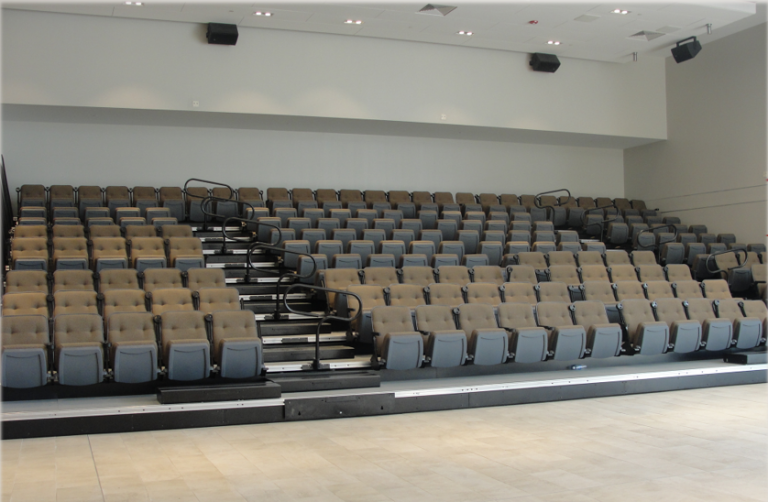 The space is equipped with standard audiovisual equipment as well as a state of the art movie screen and surround sound in the east side of the room. 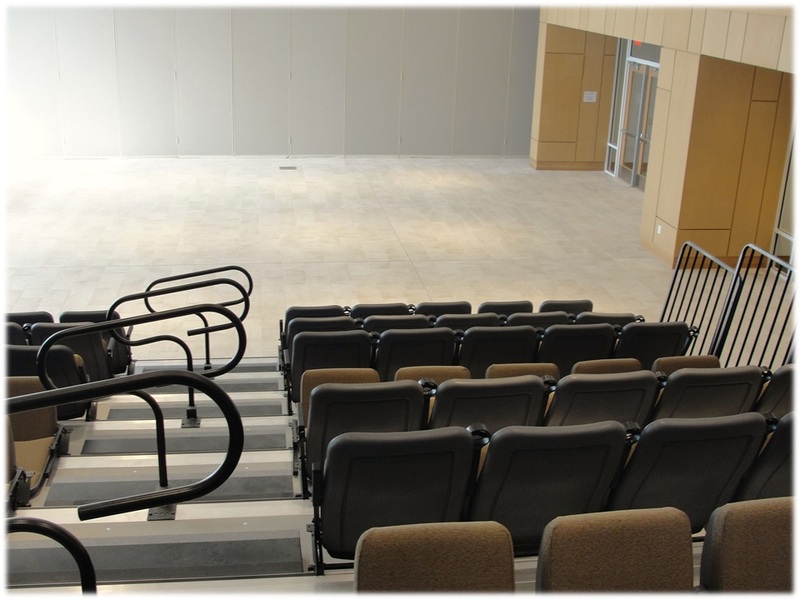 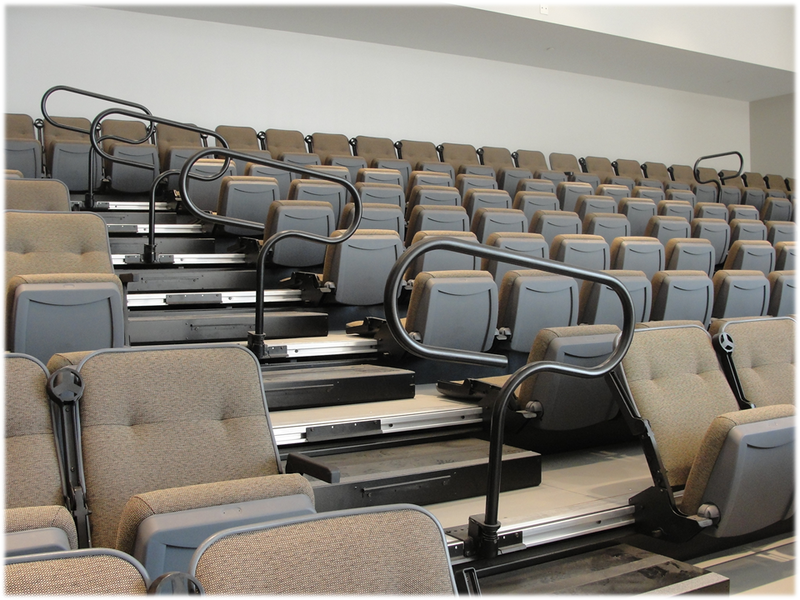 Built in tiered telescopic seating allows for 220 guests to enjoy lectures, movies, and other events using theatrical style seating. 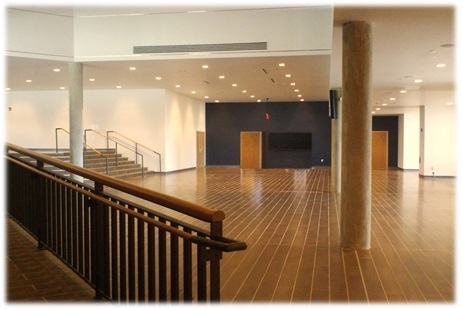 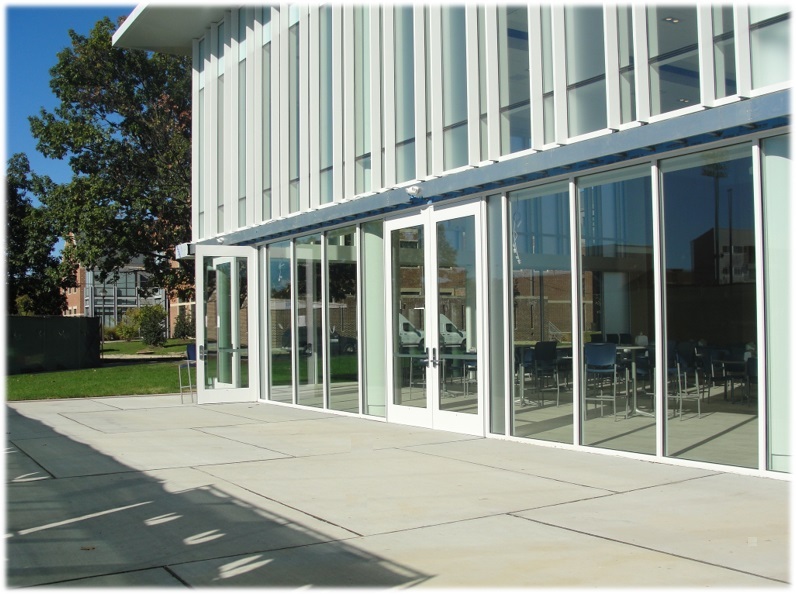 Outside of the event center, a beautiful pre-function space welcomes guests to the building. 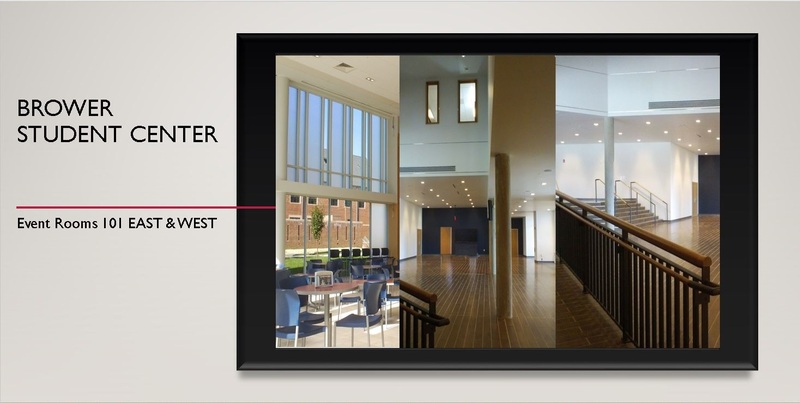 This provides an excellent space for receptions, registration, and display tables to complement the overall program in the event center.